Stephen Hawking warns about the danger of artificial intelligence and possibilities of the end of humanity with the development of this technology. “Most of the software that is currently running is vulnerable to cyber attacks,” according to Kaspersky. Stiglitz analyzes the negative consequences of the current evolution of capitalism. Global warming and the threat of asteroid impacts with Earth, topics discussed in this third edition of Starmus. From June 27 to July 2, under the unique stellar sky of the islands of Tenerife and La Palma, in the Canary Islands, “the third edition of Starmus will bring together scientific authorities and the brightest minds in the world to help experts, lovers and those curious about science, to venture into the great enigmas, threats, discoveries and curiosities to which we are exposed today, we realize it or not,” said Garik Israelian, astrophysicist and founder-director of Starmus. 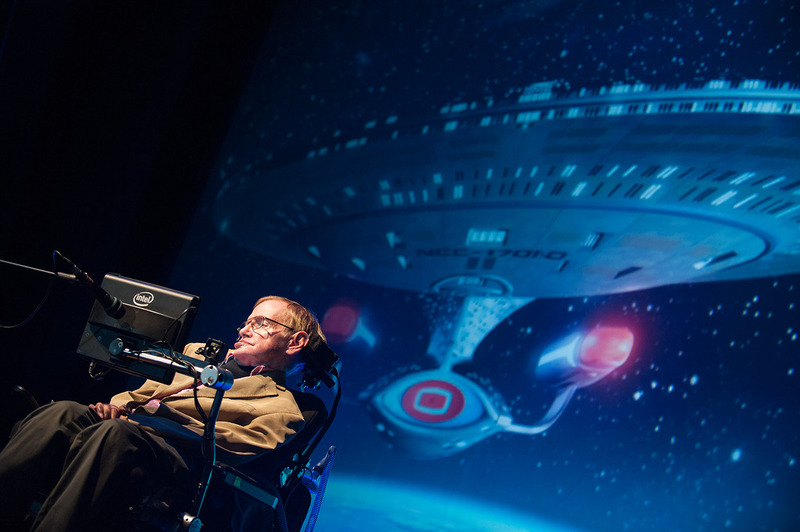 Throughout the week-long Festival, with the presence of twelve Nobel laureates and scientific researchers, Professor Stephen Hawking will present his insights regarding the progress of artificial intelligence and the search for life on other planets. “We do not know the possibilities of life on other planets, maybe we are the only intelligent beings in the galaxy and there is the frightening possibility that technology exceeds the human race,” said Professor Hawking. With the Professor Stephen Hawking, other six experts, world-renowned speakers on global issues, will present their research and analysis: cybersecurity (by Eugene Kaspersky); global warming (by Chris Rapley); artificial intelligence (by Peter Schwartz); man-machine relationship (by Danny Hillis); the threat from asteroids (by Rusty Schweickart) and the evolution of the global economy (by Joseph Stiglitz). About cybersecurity. We all have a seemingly safe online life, apparently under control. But is it really so? Eugene Kaspersky, chairman and CEO of IT security giant Kaspersky Lab, said: “The world today relies heavily on various digital and networked equipment. In our daily life we increasingly depend on ‘smart’ devices – from phones to cars and homes. But in this dependency lies a problem: most of the software that runs this digital ecosystem is vulnerable to cyberattacks. Much of it was developed without security in mind. We have built a digital world that offers unprecedented speed and ease of communication and doing business. At the same time tough it is based on the very shaky foundations of insecure computer code.” Dark Ages of Cyber Security is the title of Mr. Kaspersky’s talk in the Festival in which, largely, he will develop this reflection. Interest in the economy and its evolution has transcended the circles of experts and has showed up in our everyday conversations, especially since 2008, when the world was shaken by the changing economic cycle. “Surprised?”, Professor Joseph Stiglitz will ask the audience during his talk Growing inequality: Laws of Nature or Laws of Men?. “We shouldn’t be. Such cataclysmic events have been part of capitalism from the start. Markets on their own are neither efficient nor stable. And the way markets have been restructured in recent decades has led to lower growth and more instability, with all the benefits of the limited growth that does occur going to a very few at the top”, said Mr. Stiglitz. The Climate Summit held in Paris in late 2015, revealed the high risk for our planet to the effects of climate change and the consequences of inaction were discussed by 195 countries present there. But to what extent? Chris Rapley, doctor in Astronomy, now a Professor of Climate Science at The University College of London and from 2014 Chairman of the European Space Agency Director General’s High Level Science Policy Advisory Committee (ESA), he is one of the leading researchers in Europe in climate change. In Starmus III, during his talk Climate Change; What Future will Create?, he will present the current situation on this issue. Although for a number of years we have been hearing about developments in artificial intelligence, 2016 will mark its definitive take-off. Peter Schwartz, a renowned futurist and business strategist, will approach during his exposure Scenarios for the future of Artificial Intelligence: Will the dream become a nightmare?, at which point we are. Also, on this matter, Danny Hillis, mathematician, engineer and above all, lover of the relationship between technology and man, will address in his talk The Age of Entaglement, the always intriguing subject of whether the machine will exceed humans. Closing the circle, Rusty Schweickart, former lunar module pilot on the Apollo 9 mission and former Chairman of B612 Foundation, dedicated to the challenge of preventing asteroid impacts with Earth, will present in his talk entitled Reflections on Fifteen Years of Planetary Defense, his thoughts after spend the last 15 years in developing a global planetary defense capability. It have led him to the conclusion that “while great progress has been made, the long term ultimate challenge in preventing a future devastating asteroid impact will not be technological, but geopolitical”, Mr. Schweickart said.